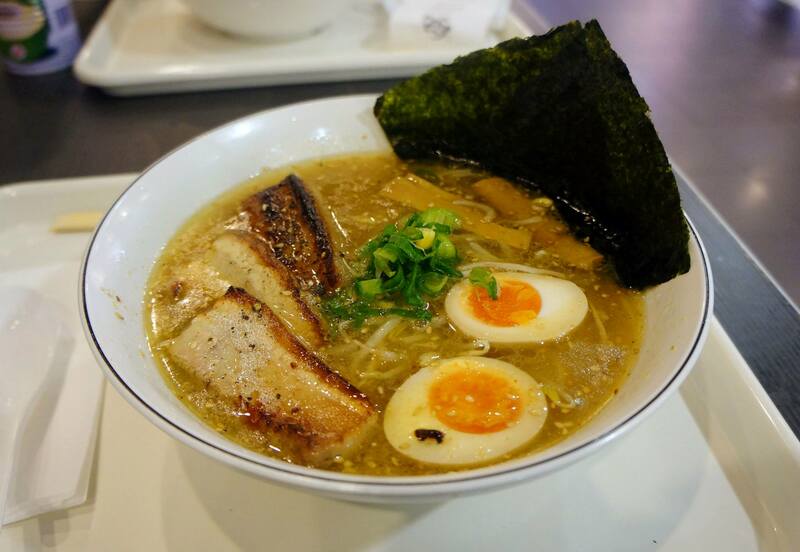 All throughout our trip through Asia we kept seeing Ramen Ikkyu pop up from friends and fellow bloggers so Mr C decided that we might as well go see what the talk was about since we have uni right next door at Haymarket. 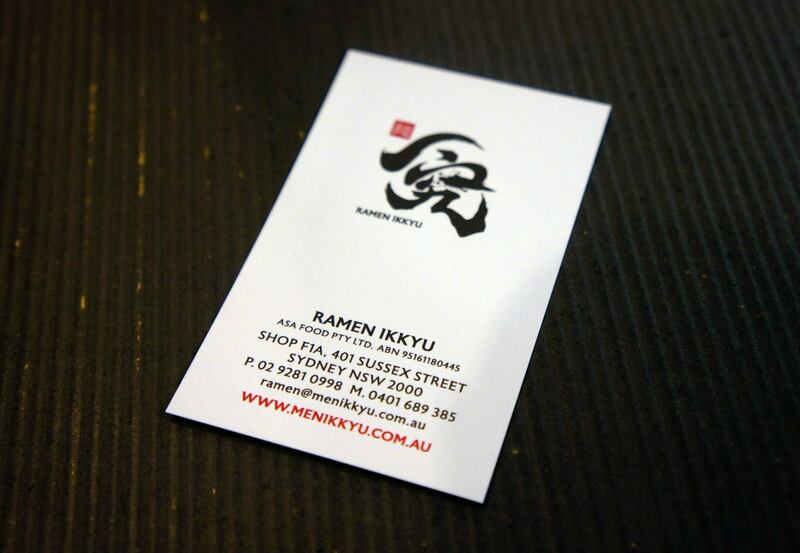 Ramen Ikkyu recently opened up in the Sussex Centre Food Court in Chinatown around June/July so are quite new, it took us a little while to figure out where they were located as the shopfront is in a small corner of the food court away from the escalators but luckily the signage is pretty clear and you can easily tell which one it was. The ordering system at Ramen Ikkyu is also interesting as they’ve jumped on the iPad craze and implemented ordering via iPad and clicking pay when you’re ready. I find it a little bit inconvenient and not very efficient as many people using the system (myself included) got confused about what we were supposed to do and combined with the lack of english from staff it took quite a while to order. 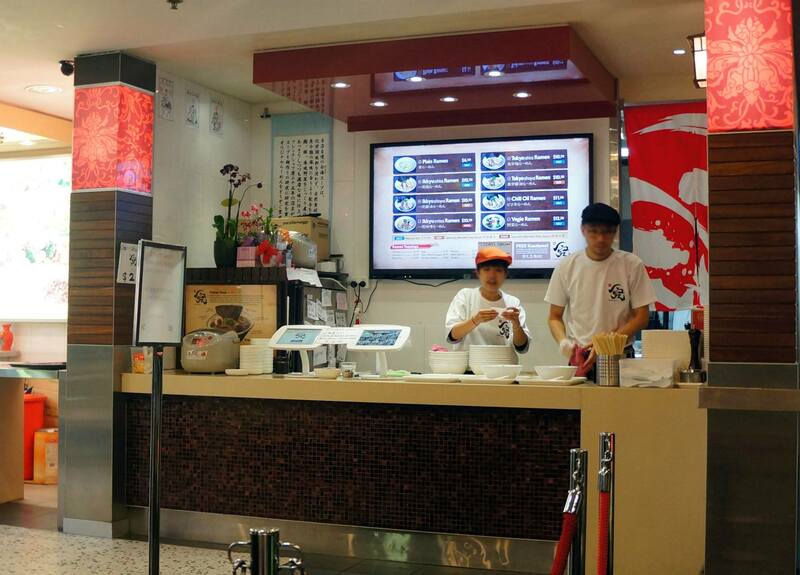 Mr C was first to order and decided as usual to go for the Tokyo (Shio) Ramen pictured above. 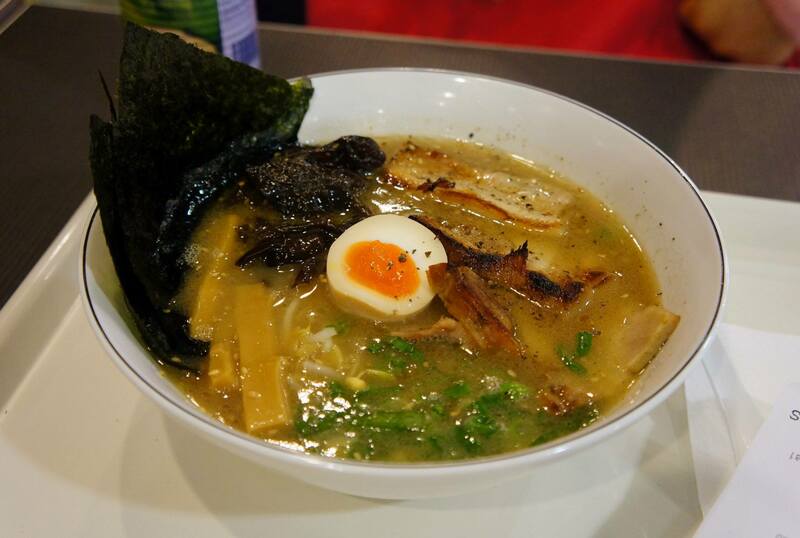 He seemed to enjoy the dish quite a bit, especially with the massive servings of delicious roast pork, the only downside mentioned was that the soup was quite salty and a bit stronger than usual, which must be quite overpowering as ramen is generally quite flavoursome already. Ramen Ikkyu also does an interesting deal where they provide you with an extra serving of noodles if you bring back the receipt and bowl of soup leftover, unfortunately Mr C was quite full from the original serving! The second dish which I ordered was the Ikkyu Ramen which is a standard ramen using shoyu (soy sauce based) soup. Overall I liked this dish because it had decent noodles, good soup base and a very juicy egg to top it off. The only negative I found was that the pork which came with the dish was almost 80% fat and hardly any meat, I’m not sure if that was a mistake or if that’s the standard for this dish because Mr C had large chunks of meat which were more lean compared to the ones in mine. So in general I found Ramen Ikkyu to be a decent feed, the servings are massive and they also provide extra noodle servings free of charge. The dishes are around $10-13 each depending on type and the quality is decent though slightly salty, it may be worth asking them to make it slightly less saltier than normal if that’s your preference. Mr C and I may do a revisit some time in the future as they have potential to improve considering they’ve only recently opened so keep an eye out if you’re interesting in visiting this place! Definitely trying this place out soon! everyone is raving about it! I’m not sure why the reviews aren’t too good on urbanspoon, I thought it deserved the vote!